Over the summer I had the opportunity to do hair and makeup for Eliana Smith Designs for her Official Fall 2012 Look Book. 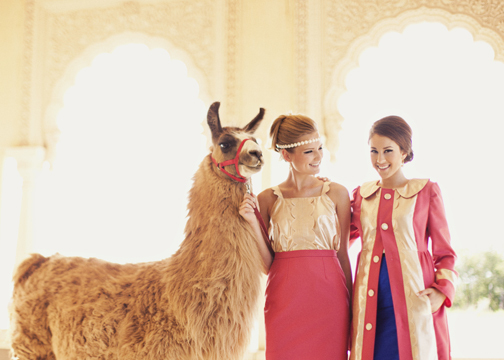 "The overall theme in my Fall 2012 collection is my own vision of a ‘western woman’ experiencing India for the first time. In these images we follow two such ladies as they travel and experience the exotic delights of a new culture through their own beautiful, detailed experiences"